We dealt with this yesterday on the show … but it certainly, it is worth watching for yourself. Chris Matthews, bless his heart tried to explain why an avoid communist killed JFK because he was influenced by right wing extremism. His guest Gerald Posner (Daily Beast) agrees the protestors are just a loaded magazine away from going violent. If it weren’t so sad … and this kind of talk dangerous in itself for continuing to stoke the flames … it might be funny. And let’s not forget that the only incidents of violence out there have been from the pro Obmacare folks … check out Steve’s post from August, “Thug Morning Wrap Up”. Then, remember this one? Oh by the way, he has since filed for workers comp. No, not Gladney silly, the thug who conducted the beating. Matthews to Inglis: Isn't being educated a disadvantage for you as a conservative? Weiner's biggest sin: lying to the press? Matthews goes nuts on Senator Sherrod Brown, "You blew it"
The worst race baiting I have seen is this piece by Olbermann.. .http://www.youtube.com/watch?v=0yZWPowFeZw&feature=PlayList&p=497BA81D9210ED1C…During the DC rally we saw no fire hoses no march of national guards. However we are witnessing what I call the Dead Nazi March. I have made a video to put this media race carding into proper perspective… .http://www.youtube.com/user/merchvent…Now I know many among us believe comparing our government to 1930s Germany weakens our arguement no matter how valid the comparison. Such hard criticism can mistakenly be seen as some form of flag burning, and they just don't want to think of their own government in those terms. However, the real hard truth is that our government IS fascist for its socialist economic policy of merging government with vital industries. This sinister use of RACE demagoguery by the government media complex makes it a German form of fascism. I am very proud of my fellow americans for their growing resistance to this rising tyranny. That's DOCTOR gun toting racist to you, Mr. Matthews. Seriously, though. The terms "infatuated with Castro" and "communist sympathizer" are better applied to our friends on the left. "Killing in a right wing atmosphere of right wing hatred of the left, even though he is a lefty, if you will" is a demonstrably specious statement, even for Matthews, particularly when he says, correctly, that Oswald was a lefty. Notice that Matthews equates shooting a guy with carrying a sign. Nice. He forgets that those assassinations that were carried out were probably all done by lefties. His nancy pants guest forgets that the people carrying guns in the occasions he references did not use them for any nefarious or illegal purpose, and that the Secret Service and local police were more than aware of their presence. I am still dumfounded that he could call the black guy with the gun a racist, but I guess when you wear the liberal blinders, you are actually wearing a blindfold, no doubt stolen from Lady Justice when Sotomayor was appointed to the supreme court…. 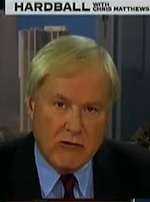 Chris Matthews has sunk to the open sewer level of White Supremacist Hal Turner. Just like Lee Harvey Oswald Hal Turner is an " agent provocateur" , a leftist posing as a right winger with a secret mission to spy on and provoke conservatives into traps of violance in order to achieve the sinister political purposes of the left. 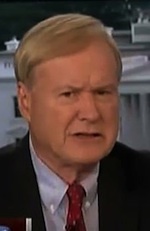 Chris Matthews should be arrested and thrown in jail without bail. Did I hear that correctly? Lee Harvey Oswald killed "in the atmosphere of a right wing hatred of a lefty". I suppose JFK was the "lefty" Chris Matthews was referring to in his question. Funny, I don't remember any hatred of Kennedy, right wing or otherwise. Is it possible that we could all chip in and pay for Matthews to take some history classes? Jim- Thanks for watching all the crap that us other Americans don't want to watch. It is like you are our own personal illegal alien! 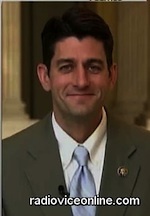 Myself, I do not want any special treatment….just treat me like an illegal immigrant! The lowest race baiting is the claim the Obama witch doctor poster is RACIST. Hello, we are debating healthcare reform. The Obama plan is Voodoo healthcare. You may need to see a witch doctor when sick if this plan passes because the line of human beings seeking treatment at the Veternarian will be too long. I sell collectibles for a living. "Negrobilia" is a popular field. There is nothing in the American history of black racial stereotypes that uses witch doctors to denigrate black people. Search google "black memorobilia" . Lots of mammies, big lips, and watermellons. NO witch doctors. By this new standard of "racism" our favorite TV sitcom Gilligan's Island is now taboo racist because of this famous head hunter scene.. .http://www.youtube.com/watch?v=FcGKIhyzuKs... Better not watch this clip at work or you might be out of a job for being a racist.